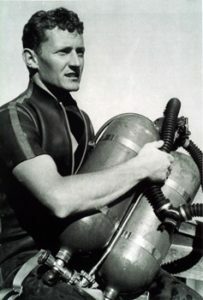 Hugh Edwards has been searching for underwater treasure since the 1950s. He has certainly found his fair share. Hugh has dived on ancient Roman galleys, sunken Greek cities, Chinese junks and iconic wrecks such as the Batavia and the Zuytdorp. He has also spent a lot of time diving with sharks and pioneered cage diving with the great white. And not forgetting that along the way Hugh also managed to author no less than 28 books! Hugh Edwards is a legend amongst the diving community and everybody on the TRUE NORTH is very much looking forward to welcoming him aboard our Coral Atoll Cruise to the magnificent Rowleys Shoals departing Broome on the 25th of September. The Rowleys feature snorkelling, diving, whale watching, fishing and simply relaxing amidst a breathtaking coral habitat – five nights of stylish adventure for the whole family! This is possibly our favourite destination and having Hugh on-board will add to the experience immensely – book now to avoid disappointment.